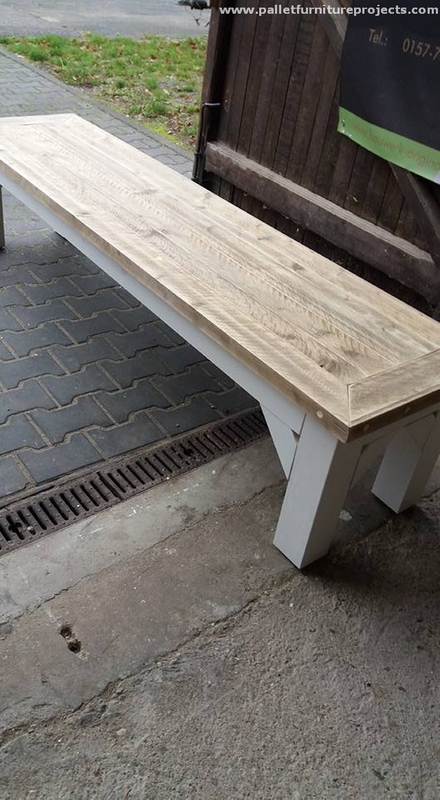 I hope you would have been through our earlier projects of wooden pallet benches. We really had very encouraging feed back on them. 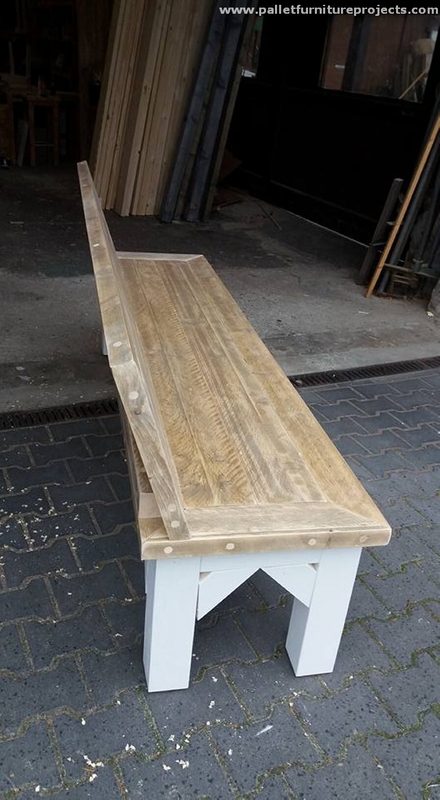 So keeping in view the enthusiastic feed back we have planned to bring you guys a couple of long size reclaimed pallet benches. 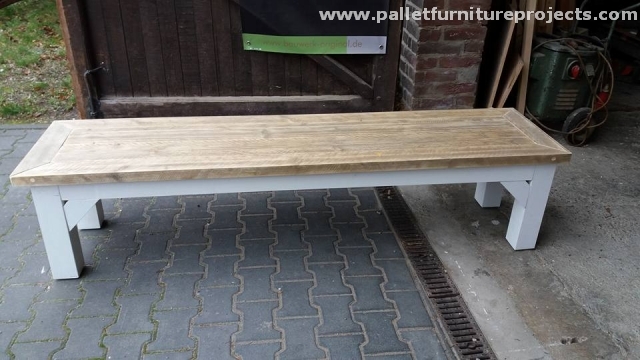 And trust just like the old ones, you are going to love these long wooden pallet benches as well. A bench is a wooden furniture item that is closely linked with outdoor sitting plans whether it be a patio or a full fledge wide green landscape. 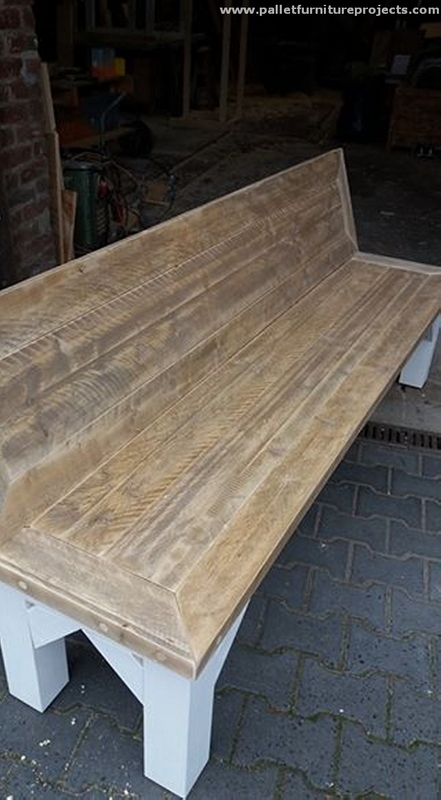 So it can safely be said that a wooden bench is most appropriately made for outdoor spaces. Not necessarily they can be placed outside, it depends on your mood and choice where you just want to put them, but the better place for them is always an open atmosphere as it compliments to their huge size and their rough design as well. So before we start a discussion on the making and feasibility of these benches, we have to go through a little discussion on the basics. 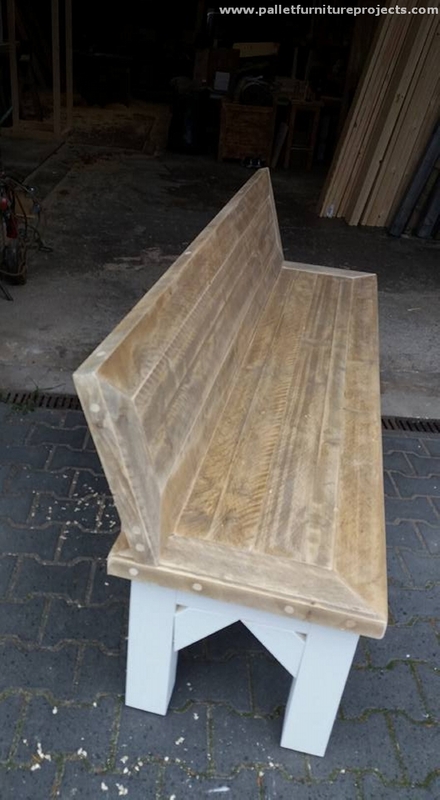 The basic material that is going to be used in recycling in these wooden benches are pallets. 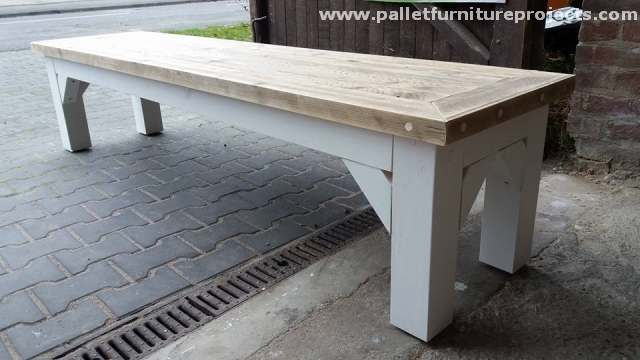 As the title makes it pretty obvious that these wood pallet benches are just going to be too long, so that clearly indicates that you are going to require a large number of wooden pallets. Secondly you have to place them outside so you can use a bit deteriorated pallets, but if you are intending to place these benches inside the house then it would be better to arrange for some fresh pallets. So that their scarred look does not ruin the interior beauty of your house. But if you are a true crafter and know best how to deal with pallets wood then I believe it would not be a big deal, they can be fixed by sanding and staining. So from here we are going to have a glimpse of each pallet long bench. 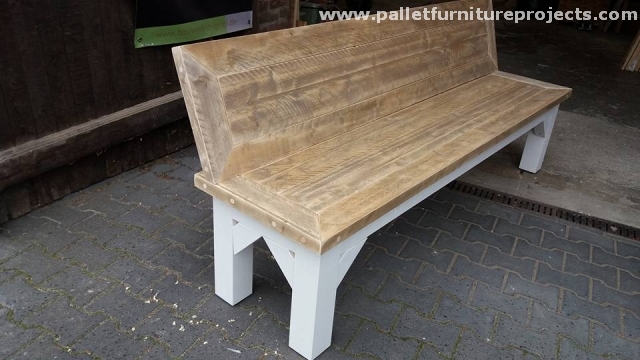 First of all this long wooden pallet bench made using some robust wooden pallets, as we can see the wooden sheets used here are relatively thicker, and the pallets are also some low quality pallets obtained from some mall or scrap market. That’s why we recommended you to arrange for some fresher wooden pallets if you intend to place them inside the home. As we intend to put them outside in our green landscape that’s why we didn’t bother to take pain in arranging some fresh pallets. One of these long wooden pallet benches is having a complete back, while the other one is just pretty plain without a proper back. The lower frame is made using the lower planks of wood pallets, and they are just durable to carry heavier weights. 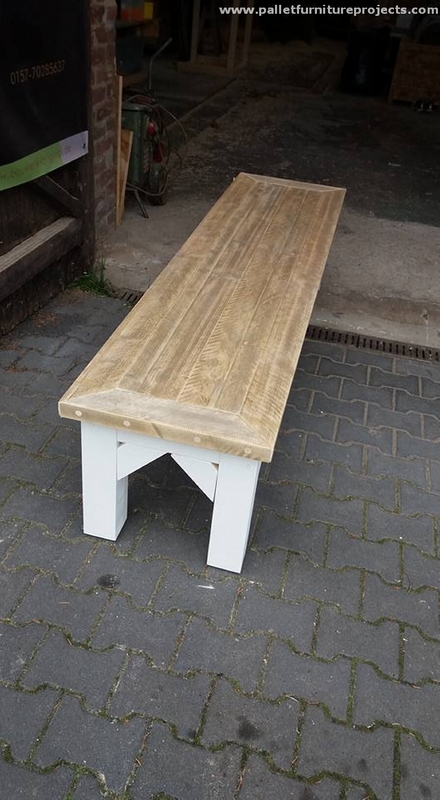 The sitting space and back of these wooden pallet long benches are very well sanded but yet left unstained. They could be a perfect installation in your ground, without any fear of rains or other extreme weather conditions.